Leep, Tescher, Helfman and Zanze (LTHZ Law) is a Redding-based law firm that provides high-quality service to injured workers in Shasta County and throughout the surrounding areas of California. If you suffered a job-related injury or illness, count on us to be your committed advocates. We will work hard to help you pursue the workers' compensation benefits you need. Board certification — Our two attorneys, Ben Helfman and Brian Zanze, are both board-certified specialists in workers' compensation law. Extensive experience — Both our lawyers have more than 25 years of legal experience. Mr. Zanze also has prior experience representing insurance companies and employers, which helps him effectively counter their strategies. Cutting-edge knowledge — Our attorneys stay up-to-date on developing laws and regulations. Mr. Helfman is also president of the Shasta Chapter of the California Applicants’ Attorneys Association (CAAA) and regularly speaks on workers' compensation issues. Responsive service — Your concerns matter to us, so we strive to respond promptly to phone and email messages. Free consultation — It costs you nothing to consult us about your workplace injury and learn if you have a valid case. Se habla español — Mr. Helfman speaks conversational Spanish, allowing us to serve those who are more comfortable in that language. 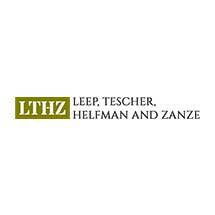 To learn more about our law firm or to schedule a consultation, call Leep, Tescher, Helfman and Zanze today. Our Redding office is located in a historical building behind the Shasta County Court House.